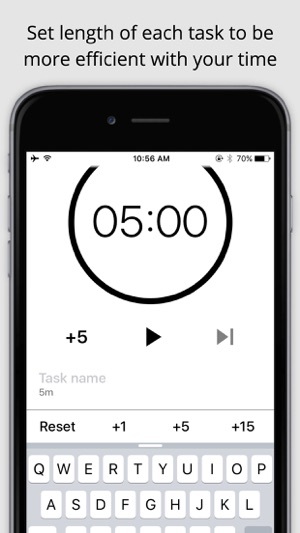 Sloth is a task manager that helps you be more efficient with YOUR TIME. 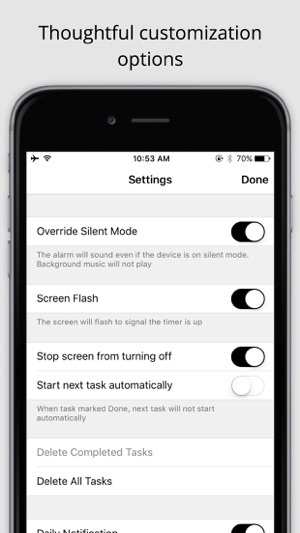 "This app has managed to motivate me to accomplish more in the past three DAYS than I've done in the past three WEEKS"
"I like the approach of this app compared to the sea of other task apps in the store, it's ideal to break down tasks for studying, working etc"
- added two more alarm settings: 'Nag alert', 'Continuous alert'. If you find Sloth helpful, we'd love if you could give us a review, or support us by buying Sloth Pro! The app works well and does precisely what I need it to do without any issues. 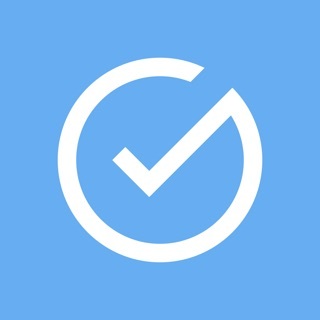 I had been looking for an app that does more than just act as a glorified iCal but actually helps me keep on task and not spend an ungodly amount of time on something that should take 1/4 of that time—and Sloth does just that. Now, the only reason I gave it 4 stars is that I wish it did more. 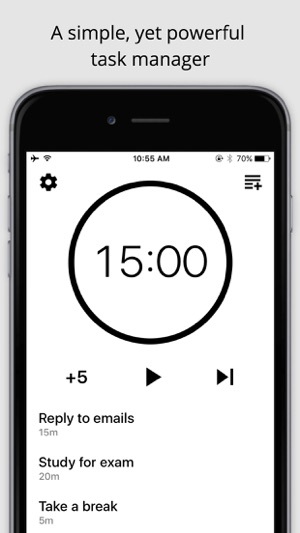 I get that the app developer is going for ‘simple’ but it would be nice to not only have the time tracker for each task but also have a day planner/itinerary to get a better idea of the time I can allot for each task, given the amount of time I have during the day, when taking into consideration classes, picking up my son, etc. And I know I can use iCal (or those glorified iCals I referenced before), but it really is so much nicer to have everything consolidated and not have to open various apps to get the job done (I know, I know—first world problems). Regardless, I’m content with the app and it’s already helping. I’m in law school and essentially any task, e.g., reading, outlining, briefing (or lack there of), can take a ridiculous amount of time if you let it, but definitely doesn’t need to—and shouldn’t. 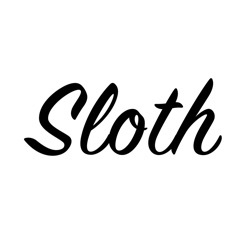 Sloth helps me stay focused on each task in order to consistently complete my daily routine. I feel greater peace of mind knowing that my daily routine is planned out ahead of time and I can easily track my progress and make changes as I go along. I also love that when you scroll down you get to see the estimated completion time for all tasks and total duration. That is so important! 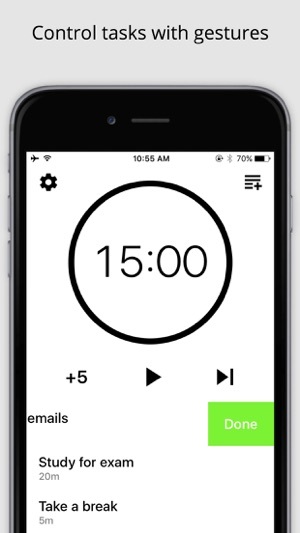 You can even create and store different routines which is so helpful as well. My only wish would be that the alarm went off continuously even while you are on another app, hopefully this can eventually be solved. All things considered, I highly recommend using this app, it has changed my life for the better and I am very grateful to those who work on it. Thank you for everything you do! I loved the light version of this and decided to upgrade so that I could utilize the lists for repeating tasks but that is a no-go. 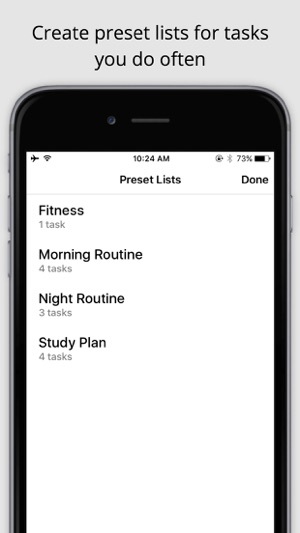 The list literally does nothing but has you write down tasks like you would on the lite version but you can't do anything with thet list. You can't move them over and put them on your list of items for that day or do anything except add a projected completion time. It's literally just a list you could write anywhere in a note app or on a scrap of paper. That was the exact reason I spent the extra $3. This app is absolutely. isn't worth the upgrade. I don't even know why they encourage you to upgrade and I regret having spent the money. So tired of apps not working as you expect them to. You don't know how it will work u too you buy it but by then it's too late. The additional features aren't with much of anything.